Item 54 on my Bucket List is to make Vodka Gummy Bears. I’m not entirely sure if this one should count as completed, or as a fail, but here goes. I found a recipe on MixThatDrink.com that was fairly straightforward. 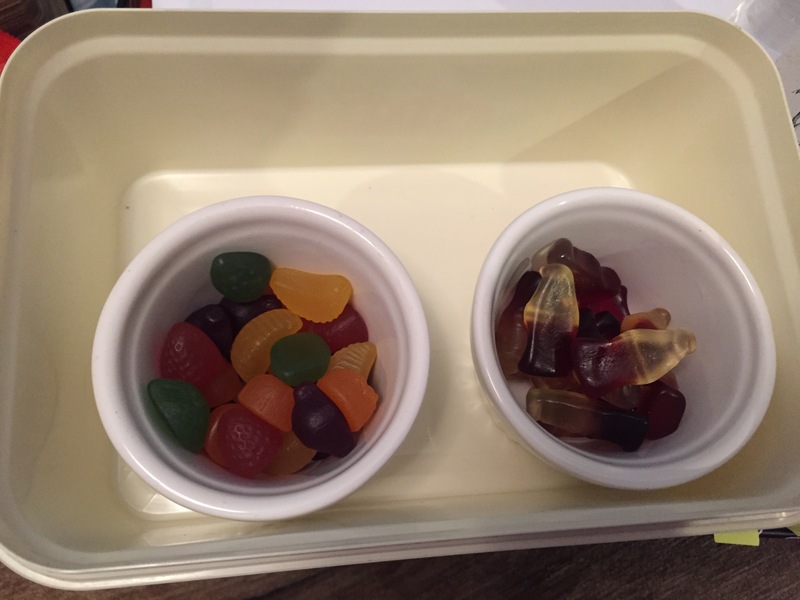 Put sweets in a bowl, cover with booze, leave to infuse. 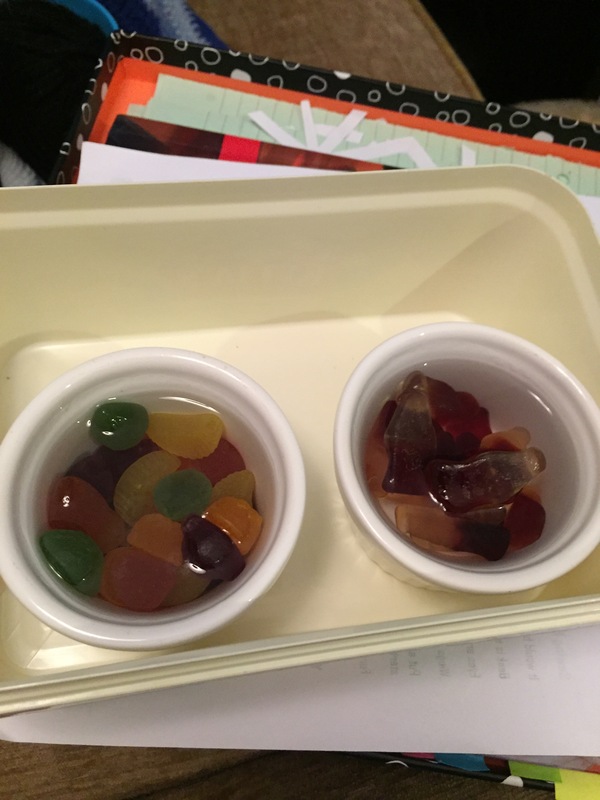 The article suggests using cola bottles sweets as well. I feel like vodka doesn’t really have much of a taste, so I bought some rum instead. And when I went shopping I couldn’t find gummy bears, so I used cola bottles and Fruit Gums. I took out one of each sweet, for size comparison later. And then I poured the booze. The article says that despite popular opinion, you don’t need to cover or chill. I did though, purely because it was the best way to stop my kitties getting drunk. And a day later, I checked on them. Firstly, the size comparison was great. 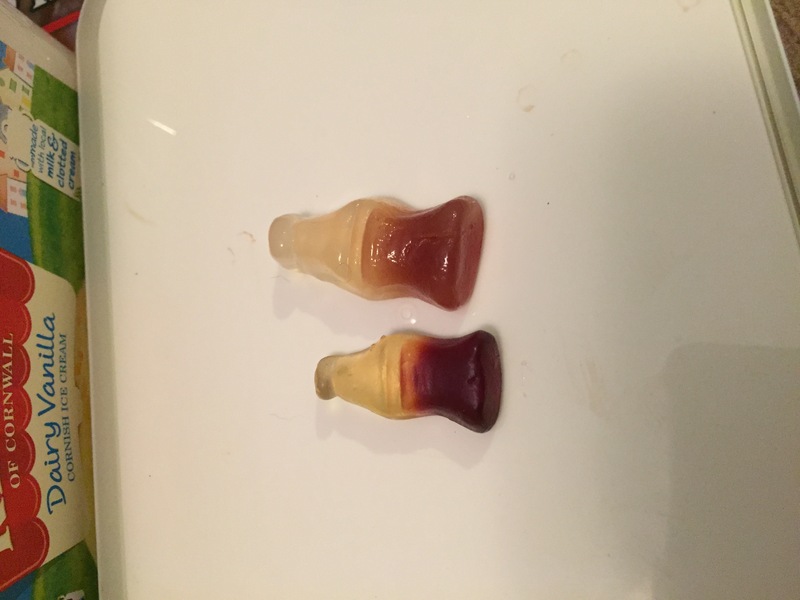 Look how much the cola bottles swelled. They were really slimy – but the article did say that would happen. 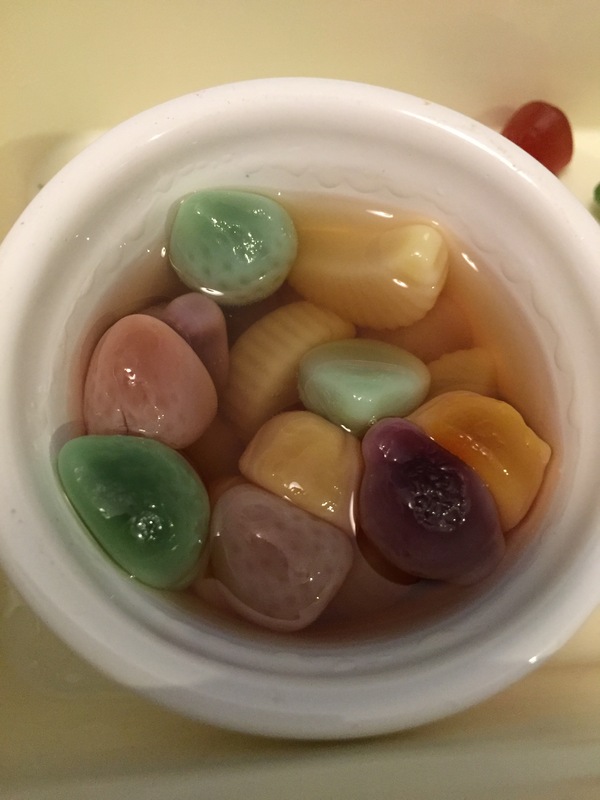 The thing is though, the centre was still fairly gummy, and the outside was slimy in a very unappealing way. Not to mention that the rum I bought was very cheap and very bad. So they didn’t taste all that great. 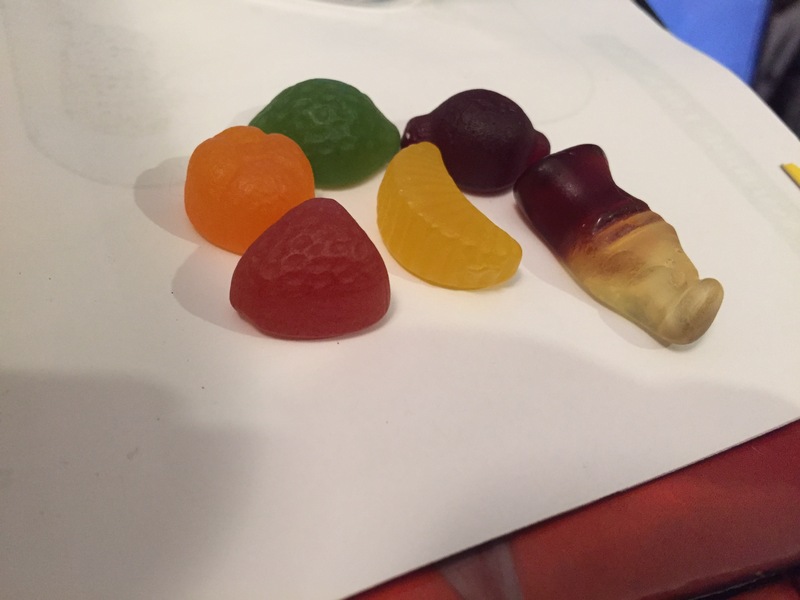 The Fruit Gums were even worse. All the colour leeched from them and they looked disgusting. And they were worse than slimy. The texture was so bad I couldn’t even finish one. I had to spit it out. So, like I said at the start of this post, I’m not entirely sure if this should count as a fail or not. But I think I’m going to check it off, but add “retry vodka gummy bears” to the list. And next time, I’ll use vodka and gummy bears. This entry was posted in Cookery, Yearly Challenges. Bookmark the permalink.